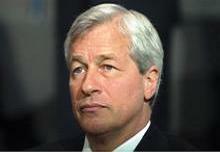 The JPMorgan CEO has throat cancer – curable, he says, but serious nonetheless. Being so open with shareholders is to be applauded. The board must now ensure the U.S. financial behemoth is ready for whenever Dimon leaves, a task it has fallen short on in the past. JPMorgan Chairman and Chief Executive Jamie Dimon revealed late on July 1 that he has been diagnosed with throat cancer. In a letter to staff and shareholders, he said the cancer was caught early and has not spread from the right side of his neck.